My last post was about a California loan modification, where the borrower signed the modification documents and returned them to the lender, but the lender foreclosed anyway. The court decided that the there was a binding contract once the borrower signed and returned the modification agreement, even though the lender said it did not happen until after the lender returned a copy signed by them. This is a good result, as otherwise the borrower would be in limbo, making payments, while wondering why they lender did not send back the documents. Finding that a contract was created helped the borrower another way- in her claim for wrongful foreclosure. It is a general rule in California law that a lawsuit to set aside a trustee’s sale for irregularities in sale notice or procedure should be accompanied by an offer to pay the full amount of the debt for which the property was security. This is known as the tender rule. I think that the tender may be made on filing the lawsuit, but some courts may differ. However, in our case, there is no claim of irregularities in sale notice or procedure. The claim is that the lender offered a modification, the borrower accepted, and they had a deal. The court noted that the power of sale, which gives the trustee the right to foreclose, is a creature of contract, not statute. If, after a default, the borrower and lender enter into an agreement to cure the default and reinstate the loan, no contractual basis remains for exercising the power of sale. 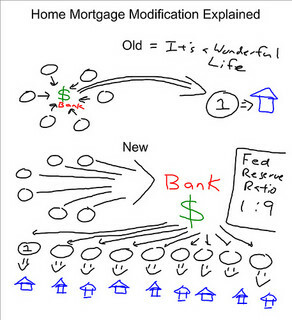 Thus, under the terms of the modification agreement, there was no default, but they foreclosed anyway. The borrower had made a claim for wrongful foreclosure, and there was no need to allege tender of the balance of the loan. This points out a distinction in lawsuits to set aside a trustee’s sale between those that rely on statutes (such as the Civil Code), and those that rely on contract. Parties in such a situation should consult an experienced Sacramento and El Dorado real estate attorney. Trustee’s sale notice or procedure is governed by the Civil Code, and the claims are governed by the rules of equity. He who seeks equity must do equity. But claims based on whether there was an actual default are based on contract. If there is no default, there is no need to tender additional payments to the lender.